The world is changing fast. The Hong Kong economy and the Hong Kong financial market have continued to grow and change with each generation over time, which has been the key to our success. Hong Kong has successfully captured opportunities offered by China’s reform and opening up in the last few decades by being bold, pragmatic and versatile, transforming itself from a regional securities market into a prominent international financial centre. As the Mainland becomes prosperous after years of economic growth, how should Hong Kong reposition itself in the decades to come? As we enter an era of rapid change and enhanced financial connectivity, HKEX has also been leading and promoting market development, so as to facilitate the global allocation of Mainland assets, enable both Mainland and overseas investors to manage their Mainland financial risks in an offshore environment, and help China exercise international pricing power in commodities and currencies, and to provide a platform for Mainland investors to price overseas assets. 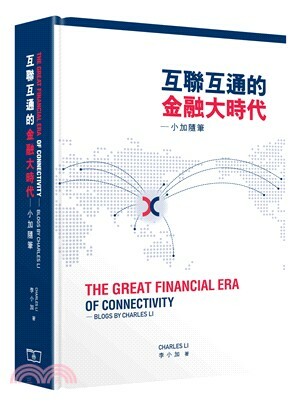 This book is a compilation of the insightful blog articles written in recent years by Mr. Charles Li, the Chief Executive of HKEX. Categorized into six chapters, the book discusses the strategic development of HKEX, equity market and market regulation, connectivity and mutual market, fixed income and currency market, commodities market, and explain the meaning of each measure to the international, Mainland and Hong Kong financial markets, with an aim to help readers understand the development of the local financial market and the future roles of Hong Kong.